TICKET ENTRY ONLY (£4.50 in advance). 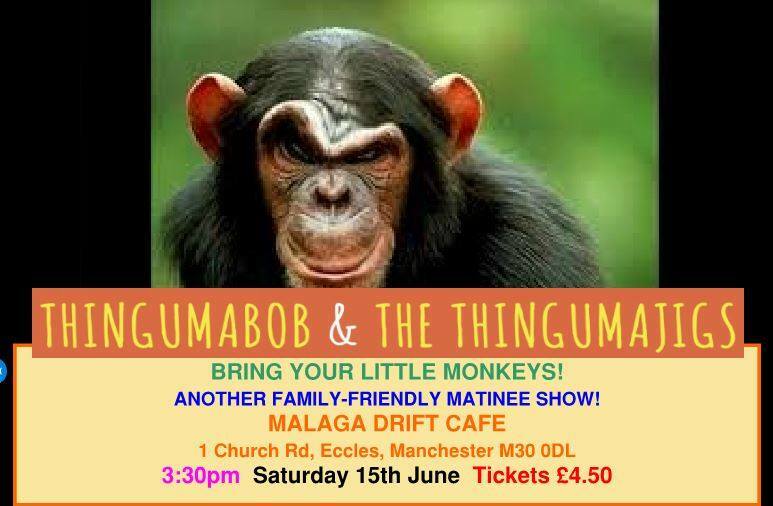 Family friendly afternoon matinee Thingumajigs show. Following the more or less instant sell out success of the last matinee shows we've done, we've decided to do it all over again! Please note that this is a small-ish venue with limited tickets so get them quick for you and your little people. Animal themed fancy dress for both parents / carers and children is very much approved of (especially monkeys / bees / wasps / bears).